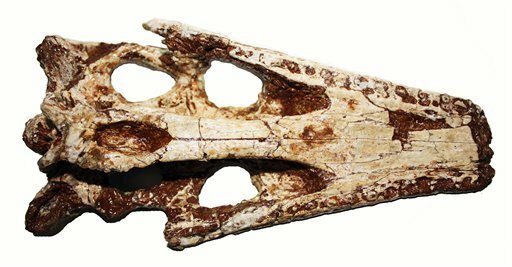 Scientists have unearthed a previously unknown species of crocodile which lived about 100 million years ago. The croc had longer legs than modern-day crocodiles and, based on the characteristics of its teeth, probably fed on fish. It was found in Thailand’s northeastern province of Nakhon Ratchasima. The new species, dubbed "Khoratosuchus jintasakuli" after the nickname of the province “Korat” where the fossil was found, is from the Cretaceous Period and is thought to have lived on land. It's longer legs allowed it to run quite quickly. The skull of the three year old specimen is just 20 cm (8 inches) long.